Tuesday night was a milestone for many, including women of color and LGBT candidates. It was a night of firsts for many in the 2018 midterm election. The history-making winners were women and women of color. Some LGBT candidates made gains as well. By Wednesday afternoon, 108 women had been elected and re-elected to US Congress, 96 to the House of Representatives and 12 to the Senate according to the LA Times. More than 270 women ran for Congressional and gubernatorial seats. Nine women will now serve as US governors. The night was a milestone for women of color particularly in the House, where 40 women will serve as state representatives. 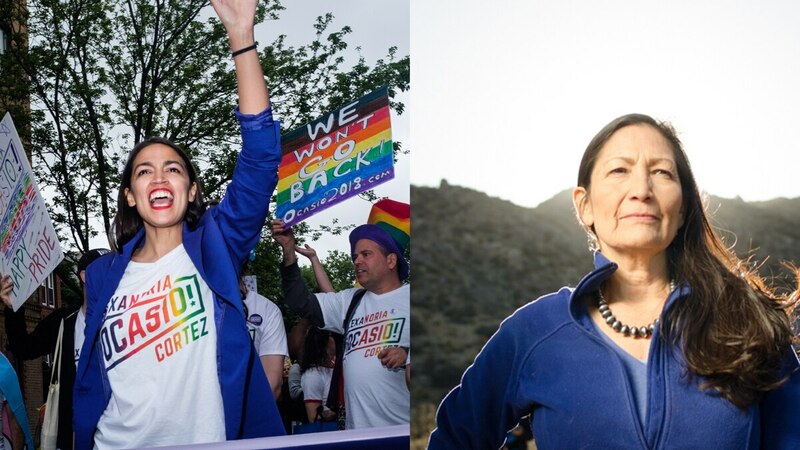 Four LGBT candidates, two men and two women, were elected to top leadership positions, taking three seats in the House and one governorship. Young Kim (R-Calif. 39th District) is the first Korean-American woman elected to Congress. She immigrated to the United States from South Korea and worked for outgoing Rep. Ed Royce in Southern California’s 39th district for 21 years. Jared Polis (D-Colo.) became the first openly gay governor in the United States. He was also the first openly gay man to be elected to the US House of Representatives in 2008. Jahana Hayes (D-Conn. 5th District) became the first black member of congress from the state of Connecticut. She is a former National Teacher of the Year. Lou Leon Guerrero (D-Guam) is the first female governor elected in Guam. Her election also flipped the island’s governorship blue after she beat out the Republican incumbent. Cindy Axne (D-Iowa 3rd District) became one of the state’s first female representatives along with Abby Finkenauer. Axne is a first-time candidate who beat out the Republican incumbent by a close margin. Abby Finkenauer (D-Iowa 1st District), 29, was elected to the House of Representatives. She’s one of the first women from Iowa elected to the House and one of the youngest women to serve in Congress. Sharice Davids (D-Kan. 3rd District) is one of the first Native American women elected to Congress. Davids, a member of the Ho-Chunk nation, will be the first openly LGBT member of Congress from the state of Kansas. Janet Mills (D-Maine) is the first female governor in the state of Maine. She has previously served as the state’s attorney general. Ayanna Pressley (D-Mass. 7th District) upset a 10-time incumbent to become the first black representative from Massachusetts. Previously, she was also the first black member of Boston’s city council. Rashida Tlaib (D-Mich. 13th District) is one of two Muslim-American women ever elected to the House of Representatives. She is the daughter of Palestinian immigrants and was also the first Muslim-American woman to serve in Michigan’s state legislature. Angie Craig (D-Minn. 2nd District) was elected to the House from Minnesota’s second district, flipping the seat blue for the first time in 18 years. She is the first openly LGBT representative from the state. Ilhan Omar (D-Minn. 5th District) is the other first Muslim-American women elected to Congress. She is the first Somali-American elected to the House of Representatives. Her family fled civil war in Somalia and came to the United States in the 1990s. Chris Pappas (D-N.H. 1st District) is the first openly gay representative from the state. He is a former member of New Hampshire’s House of Representatives and serves on the state’s executive council. Deb Haaland (D-N.M. 1st District) is also one of the first Native American women elected to Congress. She is a member of the Pueblo of Laguna tribe and will be replacing Rep. Michelle Lujan Grisham, the state’s newly elected governor. Alexandria Ocasio-Cortez (D-N.Y. 14th District) became one of two 29-year-olds, the youngest women ever, elected to Congress. She beat out long-time Democratic Rep. Joe Crowley in a primary earlier this year. Kristi Noem (R-S.D.) is the first woman elected governor of South Dakota. She is also a four-term congresswoman from the state. Marsha Blackburn (R-Tenn.) became the first woman elected to the Senate from this state. She beat her Democratic challenger by more than 200,000 votes. Veronica Escobar (D-Texas 16th District) is one of two Latinas elected to represent Texas in the House of Representatives for the first time. She served as a county clerk and judge in El Paso for seven years. Sylvia Garcia (D-Texas 29th District) is another Latina making history from the Lone Star state. She was elected to the House of Representatives from Texas’ 29th Congressional District. Her district includes the city of Houston, where she’s worked as a social worker and attorney.